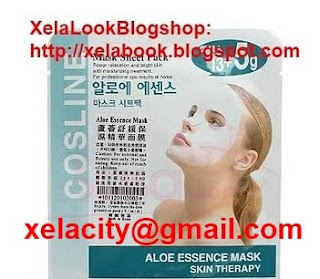 COSLINE Aloe Essence Mask contains aloe essence integrated formula to help handle the major skin problems caused by dehydration and stresses. It can relaxes the skin , refresh the cells and also brighten your face skin. Apply COSLINE Aloe Essence Mask on the cleaned face for 20-30mins and rinse off clean.